Carolina Technology Consultants (CTC) gathered IT professionals from across campus on May 26 for a half day of learning, sharing and strengthening connections at the group’s annual BarCamp conference. 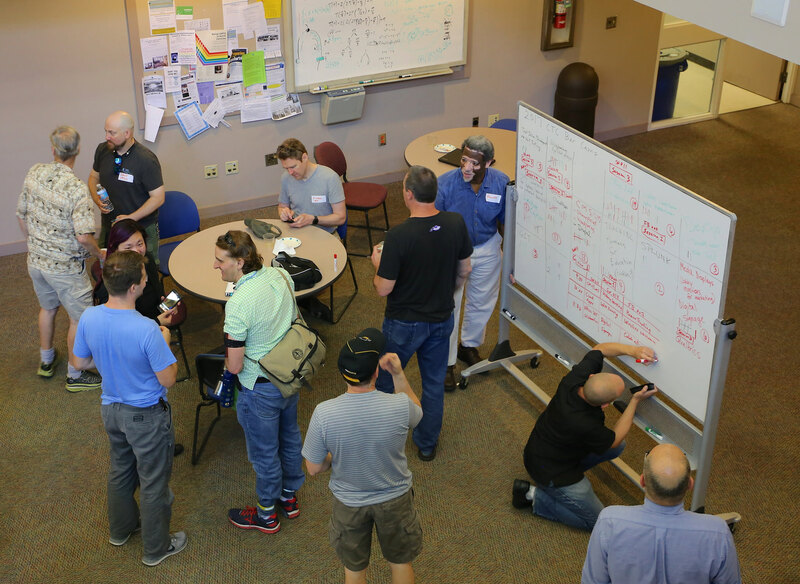 After deciding as a group the discussion topics for BarCamp 2017, about 35 participants chose among concurrent breakout sessions. The event provided 45-minute sessions with three breakout discussions for each of the three sessions. Diverse session topics covered everything from Lecture Capture to Carolina CloudApps to digital signage. Held in the Department of Computer Science’s Sitterson/Fred Brooks building, BarCamp also included lots of food — a light breakfast, snacks throughout the morning and finally, a cookout lunch that the College of Arts & Sciences (OASIS) served to about 150 people. BarCamp 2017 was sponsored by OASIS, ITS and the Department of Computer Science. The event “had a good turnout and several attendees were happy we had such diverse topics that were up for discussion,” said CTC President Paul Lamontagne, an Audio Video Technician with OASIS. Classroom technologies, coding topics and ITS Services were discussed most. “We had a nice time talking and meeting new colleagues,” Lamontagne added. 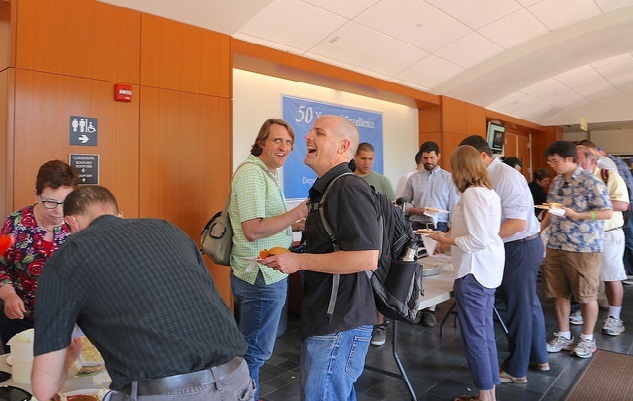 “BarCamp is always a worthwhile event,” added Kim Vassiliadis, Digital Solutions Manager at ITS Digital Services. 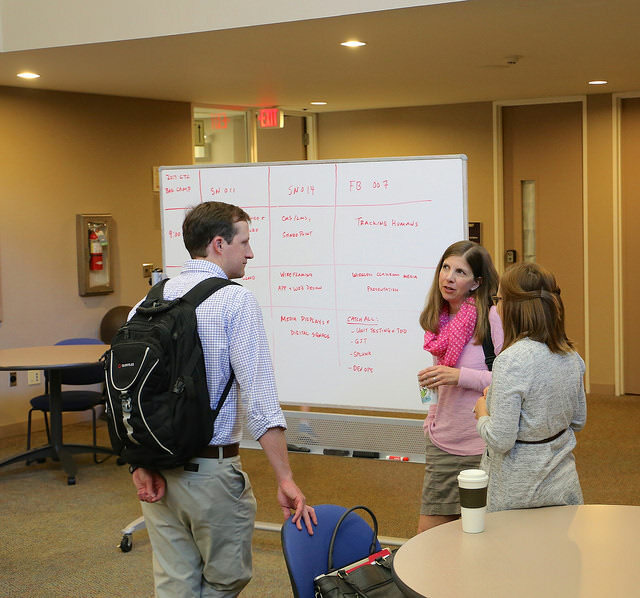 “It’s nice to catch up with colleagues, learn more about other departments and hear about new tools or resources that are worth checking out,” she said. Event photos can be viewed at the ITS Flickr account.